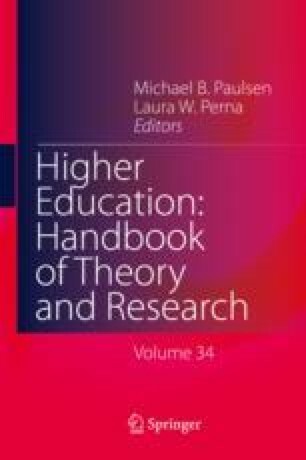 This chapter reviews the evidence on the labor market returns to investing in a college education for students in the U.S. First, we describe the primary method used to estimate the return on investment and catalog the main datasets used. We then summarize the available evidence on the returns to different awards and other types of investment. We show how earnings gains clearly vary with the incremental level and quality of postsecondary education. Completing a bachelor’s degree is associated with large gains in earnings amounting to at least one-quarter million dollars on average over the lifetime. Completing an associate degree is associated with sizeable and persistent earnings advantages over no college award. Completing a certificate can yield earnings gains, but these are variable and may only be temporary. Looking at field of study and college characteristics, we also find clear evidence of variability in returns. Finally, we consider the skills of college students need, both in their current occupations and in the future as robots and computers impact on what workers do. Overall, we find most college investments to have strong labor market pay-offs and that these pay-offs are unlikely to diminish in the near future. Beaudry, P., Green, D. A., & Sand, B. M. (2016). The great reversal in the demand for skill and cognitive tasks. Journal of Labor Economics, 34(S1, Part 2, January 2016), S199–S247. https://doi.org/10.3386/w18901. Byrne, D. M., Fernald, J. G., & Reinsdorf, M. B. (2016). Does the United States have a productivity slowdown or a measurement problem? Brookings Papers on Economic Activity, 47(1, Spring 2016), 109–182. https://doi.org/10.1353/eca.2016.0014.